On the weekend of July 24th, rumors that two ranches near Laredo, Texas were being overrun by the Los Zetas drug cartel spread across the Internet like a California grassfire. The story appears to have originated from a posting on Examiner.com by Kimberly Dvorak from San Diego, CA. TexasGOPVote blogger and US Border Watch member Bob Price investigated and wrote about the alleged rumors. "Border Security – No Laughing Matter" by Bob Price - Violence continues along the border, yet some Democrat border state representatives continue to ignore the issue. "Los Zetas in Laredo? - Continued" by Bob Price - Bob Price continues to investigate the Los Zetas in Laredo allegation. Also view a recent DPS report graphically illustrating the level of violence and organization being carried out by the Los Zetas. Story of Cartel Standoff in South Texas is a Hoax by Scott Braddock - Scott Braddock interviews Bob Price regarding the Los Zetas in Laredo hoax. "Update from US Border Watch on Laredo Los Zetas Story" by Bob Price - All direct confirmations indicate that the story did not happen. The Laredo Police Dept has invited US Border Watch to conduct further investigation in Laredo. "Update From Laredo Rancher on Los Zetas Drug Cartel Story" by Bob Price - Bob Price speaks to Hector Farias, one of the ranchers who was identified as being a victim in the story. Hector Farias assures that no illegal activity happened on his ranch and that he has never had an issue with illegal immigration or smuggling. 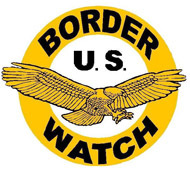 "Laredo Ranches Safe... For Now" by Bob Price - US Border Watch checks contacts in the Laredo area including media contacts, Laredo Police, Webb County Sheriff's Office and the Texas Department of Public Safety. All sources confirm this story is inaccurate.